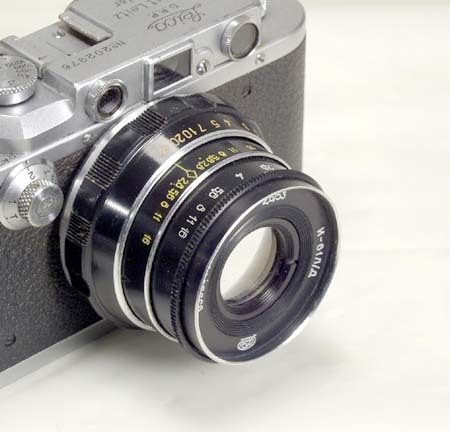 The Industar-61LZ is one of the best normal SLR lenses produced in the Soviet Union. It is multicoated, extremely sharp and contarsty; ideal for everyday shooting. The lens, though is not designated as Macro, can focus as close as 30cm (11.8"). 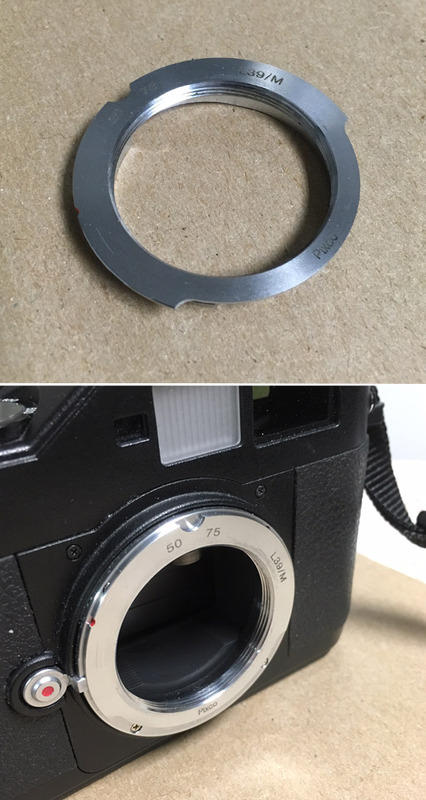 The lens' front element is located deep in the barrel, so no lens shade is needed. The lens has an interesting one-ring aperture preset design. Since I first tried this lens on my Zenit-E (late 1970? ), it immediately replaced the Helios-44 as my normal lens. Even when I had a Practika with automatic aperture, I still used the manual preset aperture Indistar-61LZ on it. By now you probably realized that this is my favorite SLR lens, and I still keep it, even though I am not using my 42 mm mount SLRs anymore. My lens is an earlier design, not multicoated. The lens you see is new, it comes in the original factory case and with the front plastic cap. 1:2.8 (from 2.8 to 16), Preset type. The glass is multicoated; the barrel has a black enamel finish. This Industar-61 was made in the 1991, it is a multicoated version. 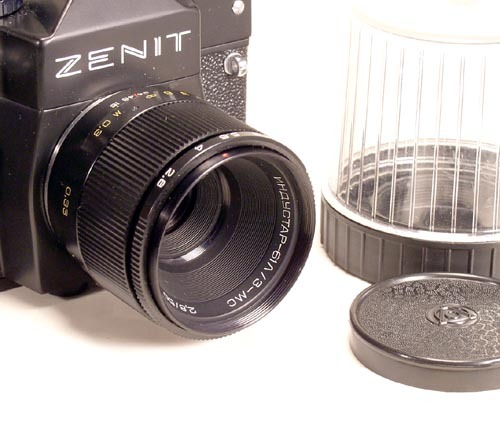 The lens is shown on a Zenit-12xp (camera not included).